Facing a parole violation charge is an uphill battle. The burden of proof is much lower than with a criminal charge, so you need a skilled criminal law attorney on your side. A defendant facing a parole violation does not have the option of a jury trial. Instead, he or she faces a parole board. In North Carolina, the parole board consists of government appointees, including former judges and law enforcement officials. Being sent back to prison to complete your sentence. Change of terms for the remainder of your parole time. The lawyers at Kirk, Kirk, Howell, Cutler & Thomas understand the seriousness of parole violation cases and work diligently on your behalf to ensure you are treated fairly. While parole and probation are both alternatives to incarceration, probation occurs before or instead of prison time, while parole occurs after time is served. Both situations, however, include conditions and require a supervisor, known as a probation or parole officer. An individual that is on probation or parole is subject to random drug tests, warrantless searches, and must check in with their supervisor on a regular basis. Though there are some exceptions, North Carolina General Statute. § 15A-1371 states that any prisoner is eligible for parole at any time. Provided a minimum sentence has been served (if imposed), probation hearings are scheduled by the Parole Commission once a prisoner becomes eligible. Nature of the crime committed. Behavior of the individual while incarcerated. Input from court officials, victims, and other interested parties. After the hearing, parole can be granted, denied, or become subject to further investigation. If parole is granted, conditions are set by the commission and the prisoner is assigned to a parole officer. Reporting regularly to a parole officer. Living in a certain defined area or staying away from certain persons or areas. Living in a halfway house. Participating in programs, such as anger management classes or Alcoholics Anonymous. Abstaining from drugs and alcohol. To ensure compliance, an individual on parole can be subjected to random warrantless searches and testing for drugs and alcohol. Often, parole violations are a result of misunderstandings and miscommunications. For example, a missed appointment with a parole officer can constitute a violation. If the officer changed the appointment and failed to notify the defendant, a simple miscommunication can result in a violation and possible imprisonment. In other cases, a parole violation can occur through no fault of the defendant. For example, if the conditions of parole indicate you keep a certain distance from an individual and that person relocates without notifying you, that’s considered a parole violation. If part of your parole condition is to maintain a job and you get laid off, that can be considered a violation as well. Parole Officers are overseen by the North Carolina Parole Commission and must obtain a warrant from them before arresting you for a parole violation. Once arrested and detained, a preliminary hearing must take place within seven business days of the arrest. The hearing is held by a judge or an appointee of the Parole Commission. 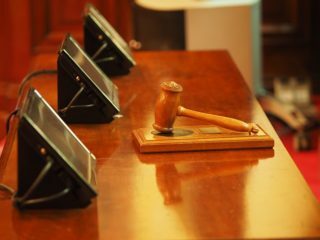 This procedure is informal and you do not have the specific right to attorney, but it is in your best interests to retain one. If probable cause is found at the hearing, you may be sent back to prison to await a hearing by the full commission. This is sometimes referred to as a revocation hearing. The final decision regarding your parole violation will come down to a majority vote of the full Parole Commission. Be absolutely sure you understand the conditions of your parole. Have a lawyer present and get it in writing. Develop a positive relationship with your Parole Officer. Understand that checking in with your parole officer is ultimately your responsibility. Keep a calendar, get a watch, set alarms, and make it as easy as possible to get to your check-in appointments on time. Stay organized. Keep everything related to your parole, including receipts, time sheets, etc. in a folder. Alert your probation officer right away if you move or if your work situation changes. Lay low and do not give the police any reason to pull you over. This means keeping your vehicle registration up to date and obeying all laws. As of January, 2018, there are currently 11,887 residents on parole. 64% of individuals on parole will complete it successfully. Common crimes among people on parole include Narcotics & Drugs (25%), Breaking & Entering (16%), and Larceny (13%). You worked hard to get out of prison on parole. Don’t let a parole violation send you back to prison. 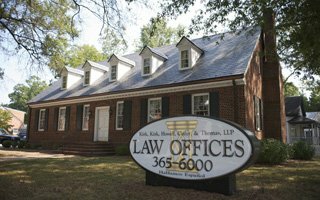 The Criminal Defense attorneys at Kirk, Kirk, Howell, Cutler & Thomas, LLP have seen many parole violation cases in Raleigh and we can help you. Preliminary parole violation hearings happen quickly, so it’s important to retain an attorney as soon as possible. Call (919) 615-2473 or complete the online contact form.